This is one of the worst jobs inthe whole house and no one wants to be the one to do it. There is hairspray all over, toothpaste stuck to the sink, the mirror is all streaky and we won’t even talk about the toilet. We already know that we aren’t going to like this job and that it takes longer thancleaning an entire other room. If company stops over, we are going to be totally embarrassed but this isn’t a normal cleaning day and you don’t have the time to spend an hour cleaning this mess up, right? So, let’s tackle this room the easy way. You know grandma and great-grandma had some really good ideas when it came to cleaning. I know, I listened a lot when they gave me pointers on how to clean and the shortcuts that they used. My grandma wrote a lot of them down and gave it to me when I was married. Did you ever wonder why they aren’t the ones that are running out to buy all of the latest things on the market? They always stay true to their way ofcleaning and just laugh when you tell them about the latest cleaning agent and the miracle way that it gets everything clean and shiny. Ask them yourself and they are usually talking about the great way that vinegar and ammonia work and add to this a little baking soda and your house is clean. Well, that is great for really in depth cleaning and take it from me, it really works better than most chemicals, but let’s come up with a fast-spruce-upcleaning method. You know, the kind that looks like you clean all day, and always looks great when company stops over. 6. Throw the towelette in the garbage and spray a little room freshner or neutralizer. 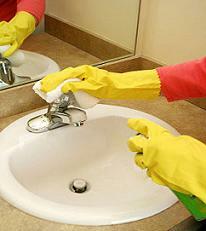 Everything is disinfected to a certain degree, clean, smells and looks good and took you less than 10 minutes to do. Even though this is a handy little cloth, you have used the same ingredients that grandma and great-grandma do only you didn’t get out the pail and rag to clean it. Now tell me, aren’t you smart and you did it so fast too!